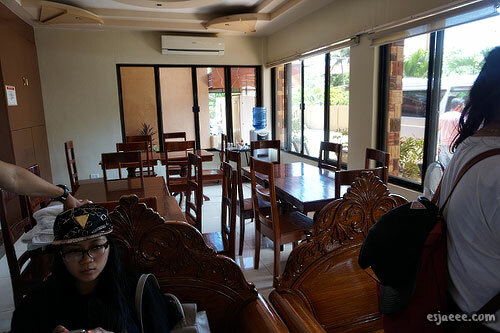 Our stay in Palawan was for 3 days and 2 nights that cost about PHP 3900 per person. That would be around €76. 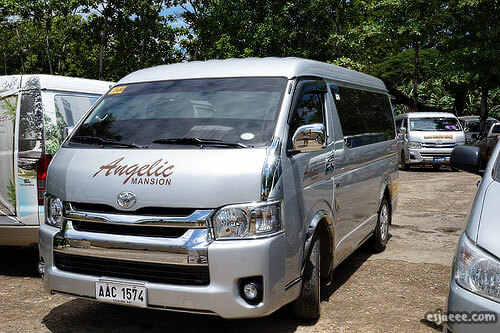 The package included return flights from Cebu to Puerto Princesa, accommodation, airport transfer. And I think mom paid extra PHP 1,500 for our Island Hopping tour in Honda Bay. The package was very affordable but if you would consider getting this package, please bear in mind that they have a minimum purchase of 4 vouchers for 4 people and you would have to avail the vouchers between certain dates. We had a little difficulty with the availability of the date due to our busy schedule when we were over in the Philippines. But we managed to find a date that would work for us and the travel agency. My mom found out about this travel agency when she was browsing through cheap holiday packages online. I was a bit skeptical at first due to the fact that there are a lot of online scams nowadays. But I am here to say that AirYouGoTravel is a trustworthy website. We paid our transaction through Paypal with their personalized link. The difficulty we experienced with them was the fact that we were both in different time zones, making it quite difficult to communicate. But their staff, Ms. Sheila Bonjoc was quite helpful in terms of answering our phone calls and emails regarding the purchase we had made. We were n the Philippines in the months of July and it was known that the monsoon season starts around that time. We prayed that the weather would be okay because if it was not, then we have no choice to say goodbye to the package we paid since it has a no cancellation policy. When we arrived at Puerto Princesa, someone was there to greet us and brought us to our accommodation. I am assuming that AirYouGoTravels contacted the accommodation and told them that we were a party of 7 so we needed a big vehicle. The travel time was probably around 20 minutes between the airport and Angelic Mansion. Angelic Mansion is like a pension house and it has great exteriors. I quite liked the wooden theme in the dining area. This was the room we got that was shared between 4 people. There were two single beds and a double bed. Mom shared with the two boys in different rooms. The room was spacious and clean. There was a vanity area just in front of the double bed in the corner. Beside one of the single beds was the cabinet and underneath that was an empty space where we have placed our luggage. There was also a TV inside the room that I didn't get the chance to take a photo. And of course there is air-conditioning. 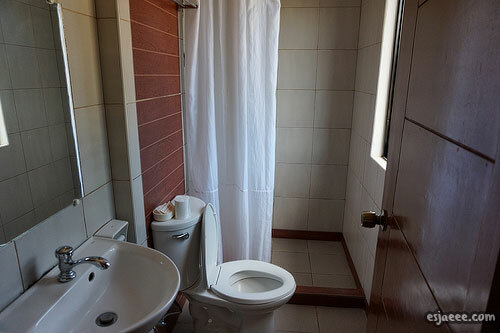 The bathroom has a shower area, sink and toilet in one cubicle. 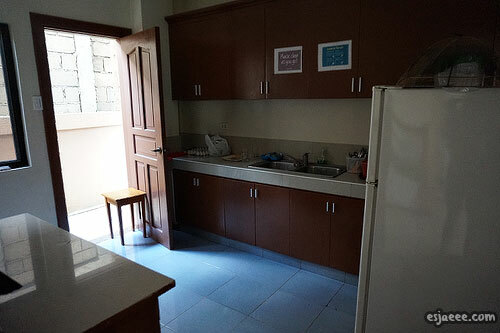 Our stay with them included a complimentary breakfast. 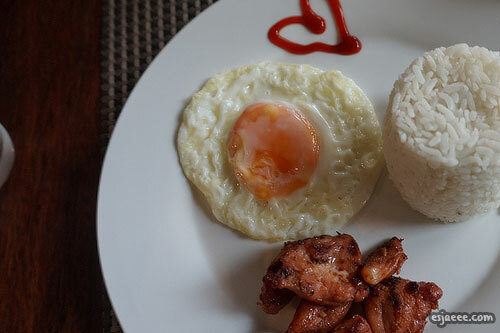 If you are not Filipino, do not expect it would be the same as the typical Western breakfast. 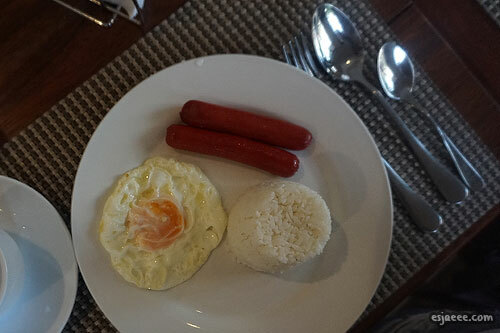 Filipino breakfast, as I mentioned in my last accommodation review, already includes rice. Breakfast "meals" differs everyday. The first day included hot dogs and then tocino the next day. Both days included rice and fried egg. Coffee or juice was also included with our breakfast. The first staff we met was a girl and she was really friendly and offered us a bunch of sightseeing packages. They staff would greet you hello when entering and/or leaving the pension house. 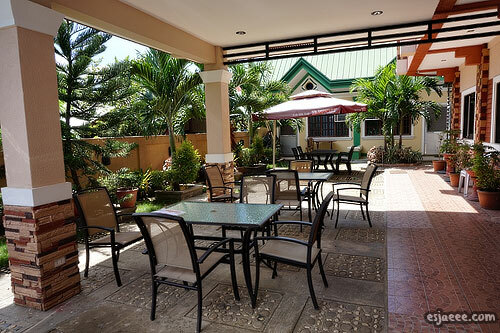 I would recommend this place if you are looking for a place that is near the airport. As far as I can remember, there was also a mall near the pension house, probably 10 minutes away. That's it for now, I'll be writing our first day adventure in Puerto Princesa where we island hopped around Honda Bay! Please look forward to that and I will see you there! Also, if you enjoyed reading this post or even looking at the photos, do let me know in the comment section. Please support my blog through sharing my posts and/or subscribing to my blog so you would not miss any updates!